Tucked in the upstairs of my mom’s house is a brown, aging trunk. Opening the lid the smell of that age wafts out. Inside the lining is in tact; the shelf divider remains and written in the top lid “Ole Jakob Peterson” is still visible in a rough squiggle. 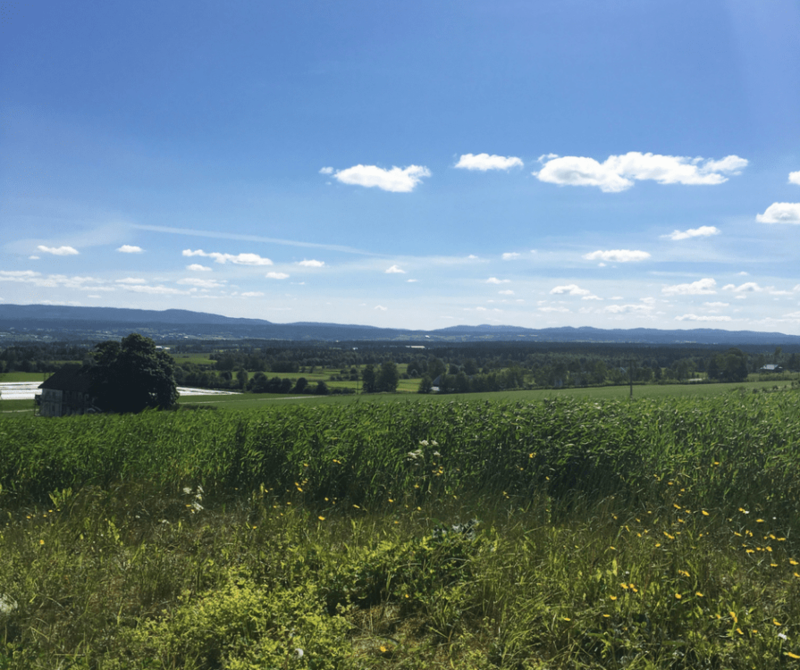 On the other side of the Atlantic tucked into a corner of Norway, Toten is an area full of open fields and farmland. The land overlooks Lake Mjøse, the largest lake in Norway that stretches for more than 72 miles. It’s largely rural but dotted with cities and villages who retain an iconic Norwegian charm including red barns. Today, Norway is one of the most economically stable countries in Europe. People enjoy a high standard of living but this wasn’t always the case. In the 19th century Norway was impoverished and overpopulated leading many people to leave – often to the United States – seeking new economic opportunities. Letters home revealed one of the “best” parts of their new life was the ability to regularly eat white bread. Yes, so simple was the dream that white bread was a signal of brighter days. These people who left included my family. Ole was one of them. I wanted to know why my family chose to leave Norway and in order to do this I needed to learn what their life would have been. It takes something big to make someone decide to give up their entire life and move to a place they knew only by word of mouth. Growing up I knew I had Scandinavian heritage but I never really connected to it. In a way this was good because I had no expectations when I arrived in Toten. But, there’s a certain longing I’ve always had, to know where I came from. 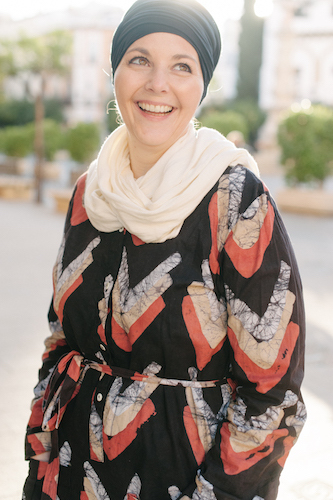 My connection to Norway was horror stories of lutefisk in bathtubs, Sons of Norway parades, and warm lefse (a type of flat potato bread) slathered with butter, cinnamon and sugar. I don’t remember any of my family ever talking about this part of our heritage. I never really even connected to Norway until I started researching my family tree. The stories and memories were just a part of life growing up in my corner of the US. It was as much an American childhood, as a heritage that was reaching back to Norway. 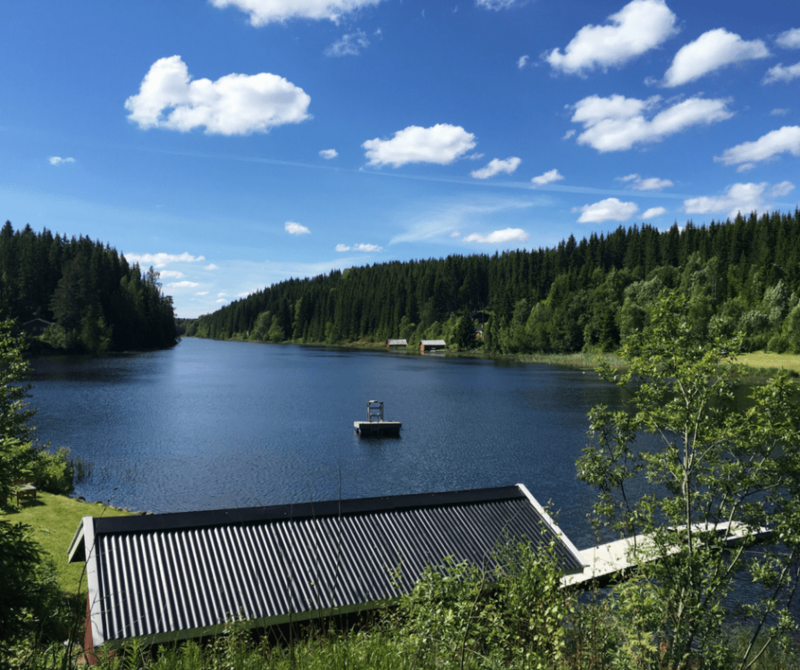 But, when I sat in the car, winding our way from Oslo north to Toten, something changed. Rolling hills and evergreen trees stretching the horizon. Blue water dotting the valleys. It rolled past until we arrived in the town of Gjøvik, population 30,000. My family came from some of the surrounding farms. Over the next three days M and I became completely immersed in 19th century Norway and through this process I began to understand much better about myself – and my family. My genetic link to Norway is on my mother’s side of the family, and it was my 3rd great grandfather, Ole who immigrated to the United States. His wife and young son arrived in 1878 but it isn’t clear if they came together. Ole is a bit of a mystery man. The records in Toten helped us track down his birth records but we couldn’t find any trace of him before he immigrated to the US. It could be that he simply lived in a different area or it could be something else. There was a lot of domestic migration at this time too, and it could be Ole had gone to the northern areas of Norway (where many men did) to work in fishing. After his marriage in 1876 he doesn’t appear again until his daughter is born in the US in 1879. Ole didn’t forget his family. While my Sicilian great grandfather left and never looked back; Ole sent for his mother and siblings as soon as he could. They joined him just a few years later. I learned tracing families in Norway at this time and before is no easy feat, unless they happened to be in the upper class and mine were not. The Norwegian class system of the time was divided into selveier (upper class – farm land owners), husemann (a middle class, they owned homes but not the land land), and innerst (the lowest class, migrant workers who didn’t own land or property). My family were innerst. Tracing records of innerst also is the most difficult because there are so few records attached to them. When I learned this, it made me a bit sad, but this didn’t always mean they had a terrible life. Ole’s father was a miller who worked at one of the local flour mills. This was a very important job at the time and probably meant he had a little extra food for the family. Sadly he died at the age of 39 leaving behind a wife and 5 children. Norwegian naming traditions are patronymic. The last name of the child is the first name of the father + son or dotter. When Norwegians immigrated to the United States many opted to keep the last name they arrived with and pass that name down. Others took the name of the last farm they worked on. This was the case for the sisters and brothers of Ole who came to the US later. A few years after Ole’s arrival his mother and three siblings arrived. This was documented. They weren’t alone, hundreds of Norwegians from Toten left and immigrated to the US – there’s even a little area locally known as “Amerika” because so many left. Often times they followed others, this seems to be the case with Ole, who made his way around the Midwest US until settling south of Green Bay, WI. Life in America wasn’t as easy as people today like to think. There was no magic bullet where immigrants suddenly began speaking English and assimilating over night. It took time – in some cases a LOT of time. Ole’s son was my grandma’s grandfather and she remembers them as kind, hardworking people. Life in the US was removed from life in Norway and growing accustomed to a new life in a new country is no small feat. Many of the challenges and ways of life passed on to their children, and even grandchildren. My Norwegian great grandfather was a very strict man who worked very hard but never had a lot, though few Americans who lived through the Great Depression did. They lost (on purpose or by circumstance) their connection to Norway and instead took on the badge of proud Americans. But, every year the lefse was made. The lutefisk prepared. 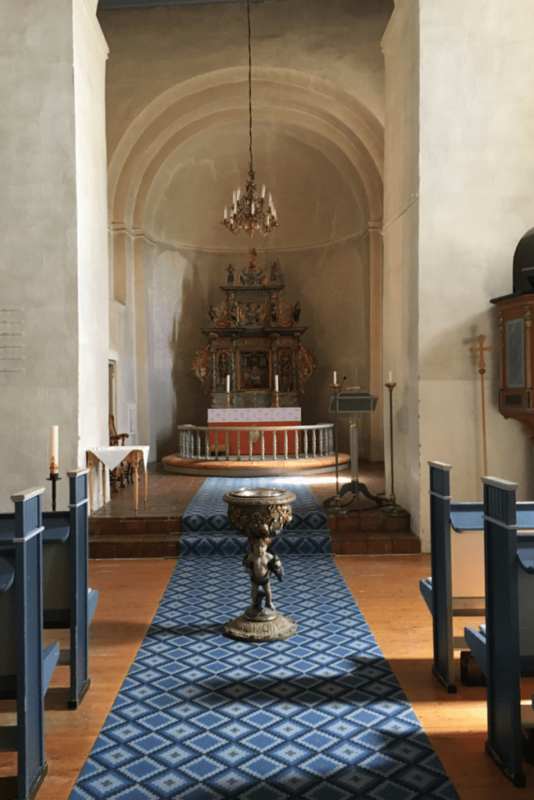 Services at the Scandinavian Lutheran Church provided structure to life and spiritual well being. Farming remained an important tradition though they moved from simply working on the farm, to working their own farms. Then they moved upwards to the merchant class; my great grandfather owned a lumber yard. His daughter, Ole the immigrants great-grand daughter, retired with a government pension after working for the Veterans Administration. The American Dream was part of the myth that drew Ole and his family to the United States. 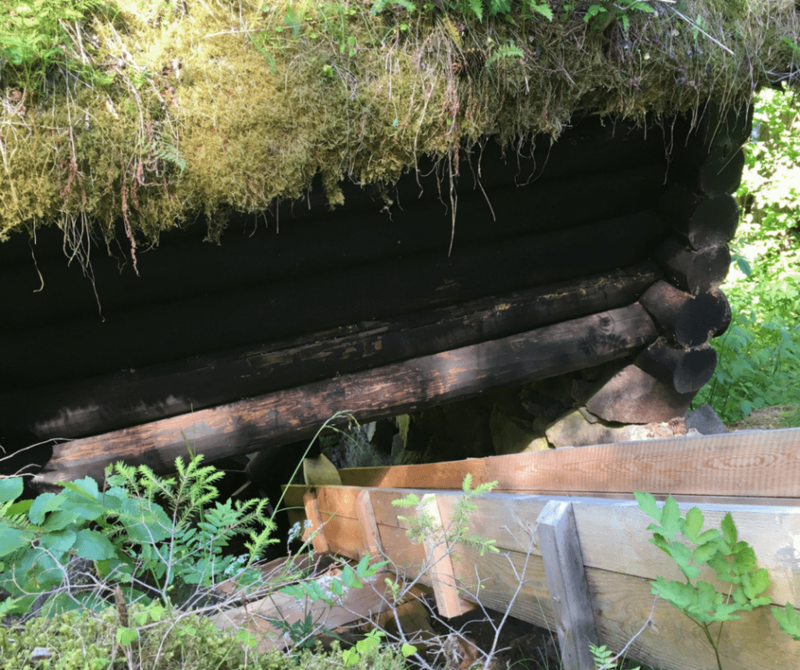 They left behind a hard life in Norway with few opportunities for the chance to become landowners in a new place – something unimaginable at home. I returned to Norway with my son, fell in love with the land they left, and saw the story full circle. Stay with me if you’re interested in visiting – there’s so much I learned on my travels to share with you about this special region of Norway. 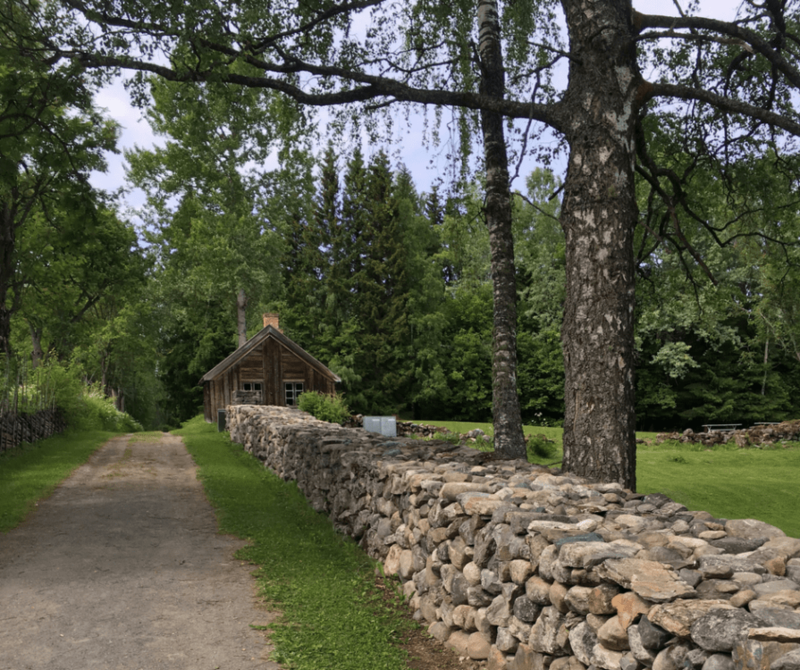 The Gjovik Tourism Board helped facilitate my trip to Norway and the Mojomuseet was instrumental in helping me not only research my family but have a better understanding of the Toten region. If your family is from Toten this is an invaluable resource to consider as a part of your research.